Rest easy, Honolulu. McGarrett and his crew are back on the case. Star-Advertiser. A traditional Hawaiian blessing marked the start of production of the reinvented CBS TV crime series "Hawaii Five-0." KITV. Hawaii's economy is expected to get a much needed boost as a primetime television show kicks off production, along with a major motion picture filming here in the islands. KHON2. The state says 67 percent of Hawaii public school students scored proficient in reading this year, up slightly from 65 percent last year. In math, 49 percent rated proficient, up from 44 percent. Associated Press. Despite spending fewer days in the classroom, public school students continued to make gains in reading and math test scores this year, according to results released yesterday. Star-Advertiser. Most grade-level scores trended upward but when it comes to federal progress standards high schools are still showing more room for growth. KHON2. With this year's elections fast approaching, the call for election day volunteers is getting louder. KHON2. When it comes to campaign donations, who comes out ahead in Hawaii's contests for a U.S. Senate seat and the two U.S. House of Representative seats? Civil Beat. 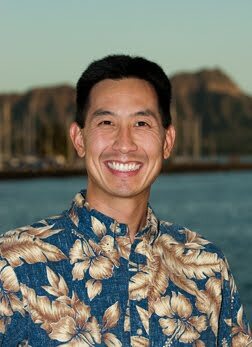 Quickly recharging their fundraising operations after the special election for Congress in May, U.S. Rep. Charles Djou raised $176,980 in the last weeks of June while state Senate President Colleen Hanabusa brought in $107,224. Star-Advertiser. Is the Bluest of States Bleeding Red? Civil Beat. Special election decision to replace Mayor and City Prosecutor. Hawaii News Now. University of Hawaii regents have approved a new, $50 per semester student athletic fee for the Manoa campus. Associated Press. Despite what one student decried as "being forced to pay for a steak and champagne dinner and ... getting, maybe, the after-dinner mints," the University of Hawaii Board of Regents overwhelmingly adopted a mandatory athletic fee yesterday as an investment in its financially challenged sports program. Star-Advertiser. Council members Wednesday took a step closer to regulating the aquarium fish trade, when a committee approved a bill to require county licenses for people who take reef fish to sell. Maui News. The Navy is studying the effects its training and testing activities have on the environment off Hawaii, Southern California and the ocean in between. Associated Press. Feathers might have literally been ruffled this weekend when a “large, charcoal-colored military helicopter” flew at a “very high speed” less than 20 feet from native sea bird dwellings Sunday morning at the Kilauea Point National Wildlife Refuge. Garden Island. Hawaii County got hit with an unexpected $217,000 bill in the fiscal year that ended June 30, thanks to the federal extension of unemployment benefits. West Hawaii Today. Oahu residents will be paying higher sewer fees for years to come because of a tentative settlement of a six-year-old lawsuit. KITV. Mayor imposes trash shipping deadline. Hawaii News Now. After three months of halted access to the Kalaupapa settlement because of an eroded bridge along the pali trail, National Park Service (NPS) officials say it could take another three months before the trail re-opens to the public. The closure has left Kalaupapa’s visitor industry – the mule rides and charter tours – struggling for survival. Molokai Dispatch. A messy situation at Waialea Bay in South Kohala has raised a stink among some Big Island residents and visitors. West Hawaii Today. Opponents of Hawaii County's attempts to sell Hamakua lands took their grievances to the Board of Ethics on Wednesday, but found no sympathetic ears. Tribune-Herald. Whether Hamakua lands were stolen from Native Hawaiians is an issue way beyond its purview, the Hawaii County Board of Ethics said Wednesday in rejecting a petition from a group seeking to halt the county's sale of the land. West Hawaii Today. The Lahaina community, in its usual way, stepped up big time last week Thursday, when more than 200 guests attended a spectacular fund-raiser for Lahaina Public Library at the Royal Lahaina Resort. Lahaina News.